Home > Working Options > What Are Staggered and Compressed Hours? Not everyone these days works from 9 ‘til 5, Monday to Friday. In fact, more and more people – especially working mums – are choosing to work flexible hours, which can allow them to spend more time with their children and save on travel and childcare costs. Many different types of flexible working arrangements are available, and the government has rules in place concerning who is and isn’t eligible. Among these are staggered and compressed hours, which allow employees to fit their schedule around their own needs – and often those of their children. Staggered hours are a kind of flexible working scheme. Although you will work the same timetable, every week, your hours will be unique to you. In other words, you may choose to start every day at 11am to drop your children off at school, and work until 6:30pm, with only a half-hour lunch break, while your partner picks up the kids from school. Or you may start work at 6am and finish at 2pm, in order to pick your children up from school yourself. Not every workplace offers the choice of staggered hours, and for some such an early start, for example, may be impractical. If you work in a shop, for example, which does not open until 9am, then offering to come in to work at 6am wouldn’t make sense. Some firms offer staggered hours so their employees can avoid driving to and from work during times of peak congestion. Others make it available to accommodate parents with small children, as working staggered hours has many benefits for parents. Compressed hours allow employees to work the same number of hours, but to compress them into a shorter period of time. For example, you may want to work four days a week instead of five, or three days a week instead of four. The benefits of compressed hours for parents are obvious: you will have extra time to spend with your children, can save on travel costs, and may also save on childcare. If your partner works compressed hours as well – at different times from you – then you may not need childcare at all. Both staggered and compressed hours are known as flexible working arrangements. They are open to anyone who is an employee who has worked at least 26 continuous weeks. You must also have a child aged 17 or under, or a child with a disability aged 18 or under, or be a legal carer of said child. Other conditions may apply; look under direct.gov.uk for more information. Your employer may reject your request only if it has “good business reasons for doing so,” directgov says. So it is worth asking – especially if someone in your workplace has already requested and received the right to work staggered or compressed hours, therefore setting a precedent to do so. Is Either Scheme Right for You? What is your partner’s working schedule, and how would it affect your new schedule? How would you feel working different hours from other employees at your workplace? Would you be able to cope coming in to work at 6am, for example? Some people might love this, as they would avoid peak hour traffic and be able to get a lot of work done without disruption in an empty office. Others might find coming in so early spooky and uninviting. Working staggered or compressed hours could be a godsend for some employees, especially those with young children. It would help save on childcare as well as transportation costs, and allow them to spend more time with their kids. 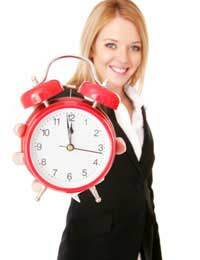 Employers might benefit from offering staggered or compressed hours as well. Such a scheme might help to retain employees, and could also improve feelings of loyalty amongst staff members, according to preliminary research conducted in some workplaces.